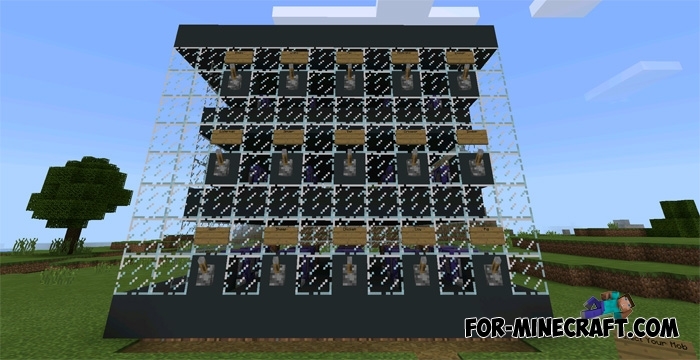 Morphing Mechanism is a redstone machine that works together with command blocks. This mechanism is unique in that it can turn you into mobs available in Minecraft. With its help, you can become a pig, hen, cow or another creature that surrounds you in the ordinary world. The machine consists of 15 levers on the front side, just pull the lever and look at yourself from the third person. The range of the mechanism is limited, so it will be difficult for you to play a trick on your friends. On the other hand, you will perform the actions that the selected animal performs. If you want to understand the principle of the mechanism then look on the reverse side.